The hubby was ill this weekend which got me thinking about sickness in the paranormal realm. I know that paranormal beings are hard to kill if not immortal. You rarely hear of werewolves getting the sniffles. So do paranormal beings get sick? In more than a few author’s worlds they use the biology of their characters against them. In Christine Warren’s Others series, to be specific Walk on the Wild Side. She uses their ability to heal quickly against them. More specifically that because their bodies healed quickly cancer multiplied too quickly to be cured. 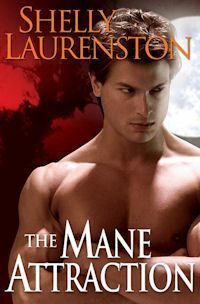 Or in Shelly Laurenston’s The Mane attraction where when a shifter needs to heal they develop a fever. So as I now have the sniffles, have you come across any authors that have come up with interesting ways of handling illness in their books? Kevin Hearne’s Iron Druid Atticus has tattoos that allows him to getting healing energy from the earth. Pretty sure the reverents (worm things that live in the spine) in the Windverse series by Boyd-Campo eat it. Nanos abound.